CONTROLRadioUK Thoughts: If you put aside the Cultural Appropriation, and this being around the time Main Artist - Song Name & Featured Artist became a thing (goodness knows why but it's extremely irritating) this is a really great song & 'Hymm For The Weekend' is a great follow up. I prefer the live versions of this song more, due to the amount of energy that's in the performances. Lyrically this is not the best song you will ever hear, but musically it is great. But I don't think it'd be right to talk about this song and not mention the Cultural Appropriation. I don't know when we decided it was a good look to take things from other cultures, but it really is not and it's especially bad here because it's not only mixing Chinese & Japanese cultures together, it uses their people as a prop & the less said about how Rihanna's dressed in this video the better. 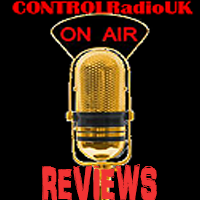 CONTROLRadioUK Thoughts: Will there ever be a more annoying chorus? I severely doubt it. But the song stays with you & 5 years later I not only know all the words off by heart, but also have the song on my MP3. So there really is no accounting for taste. Oh and the video is funny. CONTROLRadioUK Thoughts: Continuing the same annoying trend as Coldplay ft Rihanna, but 5 years later this song is still such a monster, and it introduced me to Charli XCX so I won't be too hard on it. My ears also detect this containing a sample through the chorus and the video doesn't really do much for me. But still; MONSTER. CONTROLRadioUK Thoughts: There are many things that I hate about this song and it's only here because I was outvoted, but the absolutely worst thing is that I know all the lyrics & can't help dancing alone. I've mentioned it before but it bears repeating; I do not like songs that are overplayed. If I'm meant to like a song, trust that I'll come to that conclusion in my own time. This was constantly played on the radio & TV in 2012, and I think Karmin have made better songs (although I'm still not a fan because their songs don't tend to have enough power in them). This song also has a rather annoying sample but because I'm not a negative nelly, I'll say that lyrically this is OK, I like how Amy mixes up the singing & the rapping & as much as their music may not be my thing, they deserve a better career than what they have. CONTROLRadioUK Thoughts: A cracking remix of this song by Wideboys is easily available & CONTROLRadioUK HQ's favored version of this, but the thing that first attracted me to this song & why it's featured is the video. It perfectly matches the songs tone and Leona & Colton handle it perfectly.